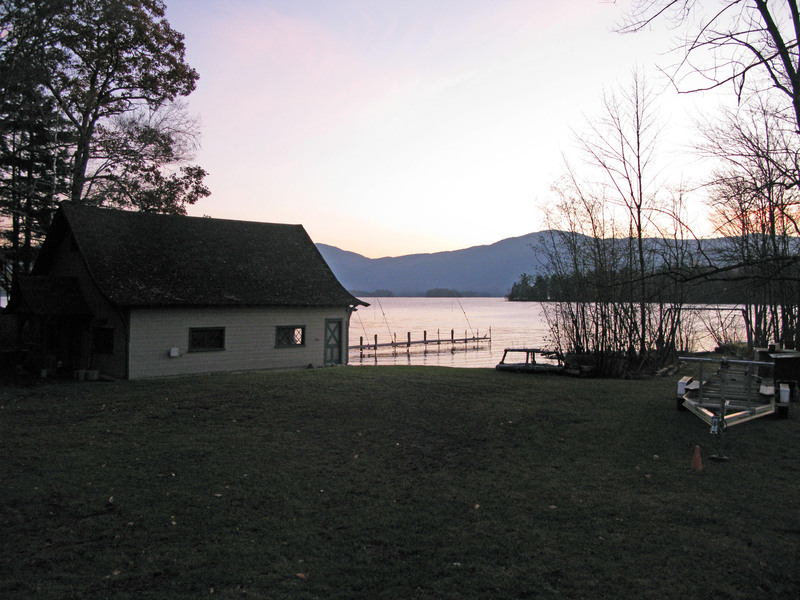 Note: Skidaway Institute volunteer Nancy Tennenbaum wrote this account of her recent trip to Lake George, NY with Skidaway Institute professor Marc Frischer. becomes a new path not well previously traveled. 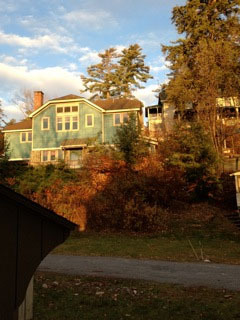 Rensselaer Institute, home to the Darrin Fresh Water Institute (DFWI), rests peacefully on a wooded hill top overlooking, the cold, sparkling waters of Lake George. Fall has worked its secret magic here on the aging leaves dwelling in a silent woods. Intense yellows and reds paint the landscape. A nature concert, a continual sound of bubbling water, rushes past. 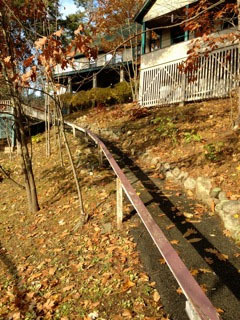 Footsteps to the main lodge on an inclined leaf scattered path measure time well spent. clear and uncluttered. This is the road less taken. I am just its fortunate visitor. Sandra Nierzwicki-Bauer, the director of DFWI, is an individual pulled in a thousand different directions. She is in fact the embodiment of this institution. Who she is can be summed up by the motto, I will not take no for an answer. And of course she would be naked without her three adorable pugs who follow her around as if she were their super hero. Paradise is at her doorstep, yet there is with not enough time in the day to enjoy it. A shadow hangs ominously over her life. Her treasured friend, Sharon, who is battling cancer, has consumed the existence of Sandra. There are endless phone calls to her doctors and relatives. Sharon’s horses must now be watered and fed twice a day. The incomprehensible fact is that there is nothing fair about life. Five undergraduate students are doing a semester here. As most 20 something’s, they are fun and crazy, filling the lodge with a fresh perspective on life. Marc Frischer, is here to collaborate with Sandra on papers needing to be published. 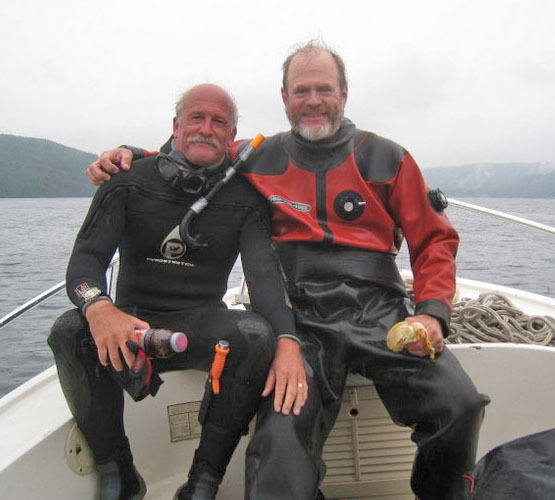 Steve Resler and Dan Marelli are scientific SCUBA divers here studying Asian Clams that recently invaded the Lake and threaten its fragile ecology. Yet, despite the time stress, Sandra carves out time for me every day as if nothing could be important than poring over the phytoplankton photos from an August 2009 mesocosm study that we are analyzing. You might wonder what we have accomplished here and what we leave behind. 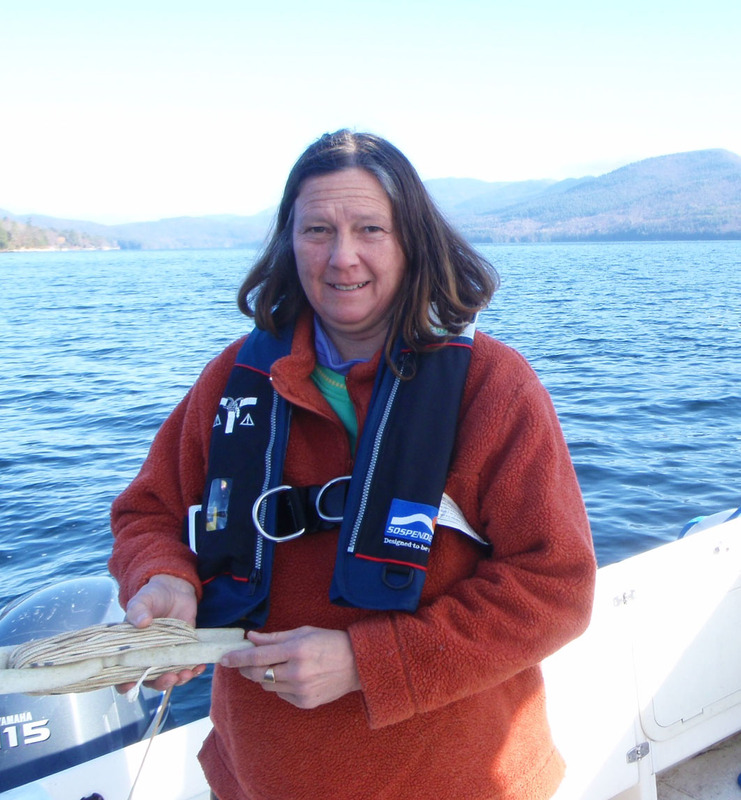 At the beginning of the week I spent the days gathering information on the phytoplankton of Lake George that SKIO did not have. The library was searched for reference books and manuscripts. The brains of many patient staff people here were cross-examined in an attempt to uncover additional reference material. The most important source of expertise is Sharon who is receiving chemotherapy and was unavailable. On Wednesday, I was drafted quite by surprise to participate in the DFWI Asian Clam eradication project. I found myself in a kayak on Lake George collecting water samples from SCUBA divers, Steve (aka Captain Seaweed) and Dan (aka Diver Dan). The best part of the day was dinner when Marc was the chief cook. 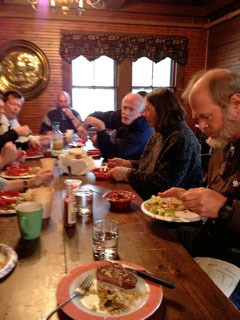 As the lodge has an enormous industrial kitchen having several assistants was the norm. Being a rather picky eater I am happy to say that everything Marc made was delicious. Saturday, as I sat in the library, writing this blog, I had to remind myself that were leaving that afternoon. It is easy to fall in love with this place, therefore I leave reluctantly. The banks of the Atlantic Intracoastal Waterway (AIWW), an artificial channel running through Georgia’s marshes behind the barrier islands, are steadily eroding, and there are several possible causes, including wakes from recreational boats. That is the conclusion of a year-long study by scientists at the Skidaway Institute of Oceanography. Georgia contains more than one third of the salt marsh on the eastern coast of the United States and more than 90 percent of its AIWW shoreline is salt marsh. These marshes are essential habitat for fish and crustaceans because they play an important role in the life cycle of most local commercial and recreational species. The AIWW was designed to support both recreational and commercial vessel traffic. Erosion is a natural process in salt marshes. However, in a natural setting, when one side of a tidal creek erodes, the other side usually accretes. Along the AIWW this was typically not the case. Alexander found extensive stretches where the shoreline was eroding on both sides of the channel. 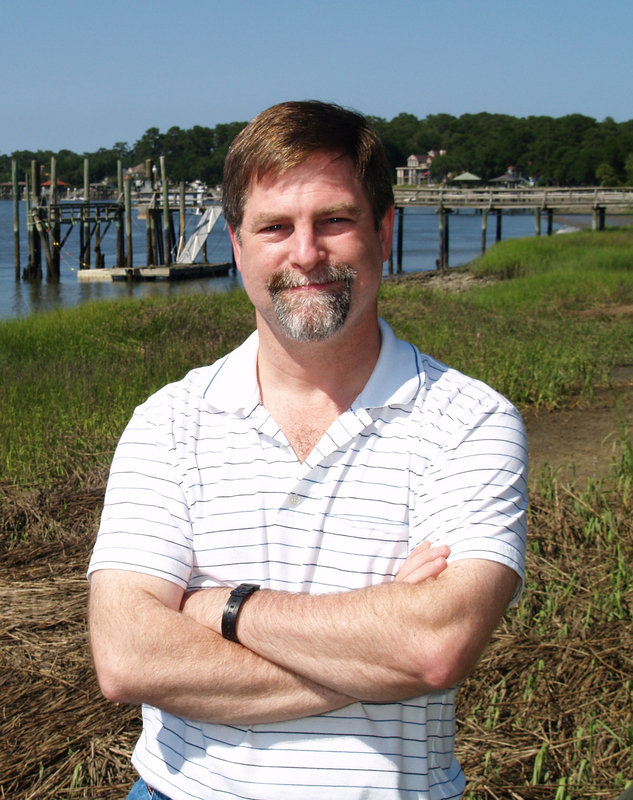 Alexander and his team used historic and recent charts and aerial photography to track the erosion and accretion along the entire 91 mile length of the waterway between South Carolina to Florida. They also used a combination of high-definition video camera connected to a Global Positioning System (GPS) receiver to document both sides of the waterway along its length. 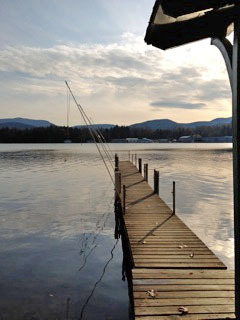 The research team examined shoreline change over two time periods, the first from 1933 to 1976 and the second from 1976 to 2004. The team limited their study to the eight relatively narrow main sections and six alternative sections of the waterway, avoiding the sounds where wind and storm waves might have a significant impact on shoreline change. Comparing the earlier time period to the later, the study found a strong trend towards more erosion in the more recent time period. Boat traffic and their wakes provide a mechanism for bank erosion.